President Buhari attends APC mega rally in Ekiti, urges electorates to vote Fayemi – Royal Times of Nigeria. President Muhammadu Buhari has urged residents of Ekiti State to reclaim their future by voting for Dr Kayode Fayemi in its July 14 gubernatorial election. The president said this during an address at the mega rally of the All Progressives’ Congress (APC) for the party’s candidate in Ado Ekiti, the state capital today. 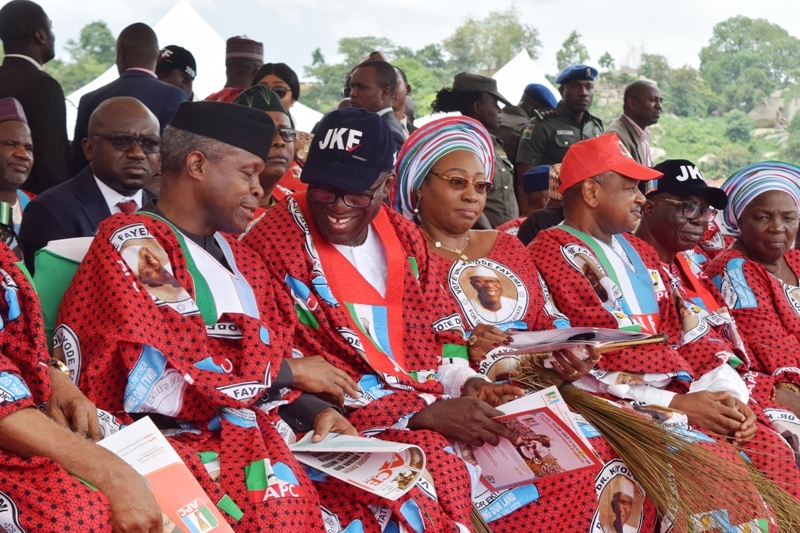 He urged voters to reject the stomach structure initiative of the state’s current government of the People’s Democratic Party (PDP), noting that the state is too enlightened to be manipulated by politicians. He said Fayemi’s political experience, both as the state’s former governor and a federal minister, will translate into development for the state if he’s elected. 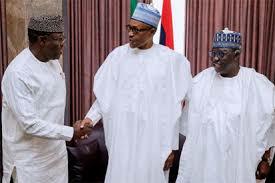 Meanwhile, the Senate has criticised President Muhammadu Buhari and the Nigeria Police for mobilising thirty thousand officers for the forthcoming Ekiti election. The lawmakers frowned at deployment of such huge number of officers at a time many parts of the country are facing security challenges. A statement by Police Spokesman, Jimoh Moshood, on Sunday said the Deputy Inspector-General of Police in charge of Operations, 30,000 personnel, two Patrol Surveillance Helicopters, five additional Armoured Personnel Carriers, 10 Armoured Personnel Vehicles and 250 police patrol vehicles have been deployed for the election.